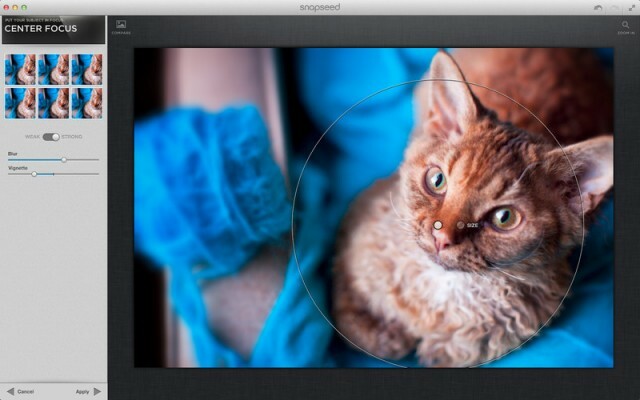 Nik Software has released its Snapseed photo editor in the Mac App Store. We told you a couple days ago from CES that Snapseed was headed to the Mac, and the app is now available for $19.99. Snapseed has been an incredibly popular photo editing app on the iOS platform, so much so that it even won an Apple “App of the Year” award recently. The beautiful design and robust set of features we’ve come to expect from Nik Software is now available on the Mac. Tune Image – Easily browse and adjust your photos with a single click using Auto Correct, tweak your photos to perfection with Tune Image or selectively adjust specific areas of them with revolutionary Control Points. Use Ambience to create depth and vibrancy that uniquely adapts to colors and textures. Adjust White Balance, Saturation, Contrast, more. Crop, Straighten & Rotate – Rotate 90° and/or straighten photos and easily crop images to remove distracting parts of your photo. Now includes standard aspect ratios. While it’s not a replacement for the Photoshop fanatics out there, Snapseed should suit the needs of most aspiring photographers. Grab it now in the Mac App Store and let us know what you think!